Web design is what we do, bespoke, professional and affordable. We've been developing websites in Sussex and Surrey as a team for 4 years, although between us we have over 25 years of experience in designing websites for ecommerce, SME's and individuals, both professional and personal. So if you're looking for a quality web developer, you're in safe hands with MAS. We don't just build websites though, our mobile app development team is one of the best in Surrey and Sussex. We've designed mobile applications that are proving to be invaluable to the care industry (Care Line Live) and recently we built a multi language statue application, approved by Westminster Council (Statue Findr). 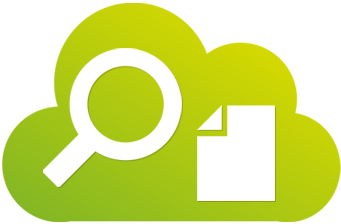 We also have a proven track record for SEO in Sussex and Surrey. SEO (short for Search Engine Optimisation) is a fancy way of saying 'get my website to the top of Google'. Our SEO is organic, we don't cheat or use methods that only work temporarily. By applying proven SEO techniques to your websites content and code, we can show you month-on-month search position gains. 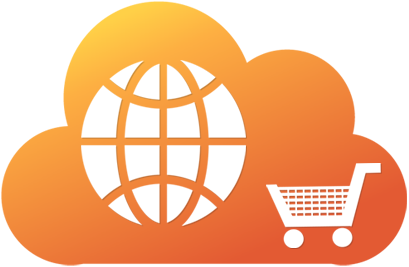 We can even help your ecommerce site get it's products listed on Google shopping. We develop and make websites exactly to your needs. 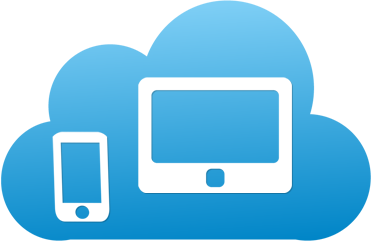 Using industry standard technologies, we can ensure your website looks just as good on mobile devices as well as desktop PCs. 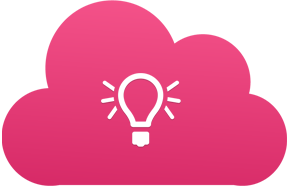 Our team are experienced in creating everything from single page portfolio sites, to full featured e-commerce websites. We all love playing games on the move but have you thought about having an app specifically for your business? With so many people now using mobile devices all day, every day, it's a key way of bringing more business to you. With Mobile apps, almost anything is possible. Search Engine Optimisation is what it takes to get your website to appear higher in the search results of Google and the other search engines. 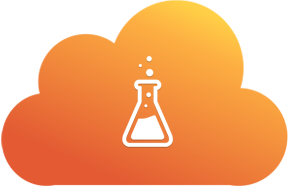 We can optimise your website at the code level, improve your content or copy-write new content. 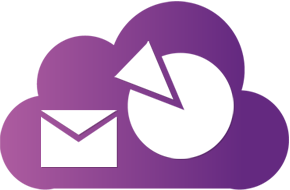 Content is king - let us make your site engaging for your audience. Your corporate identity is the key to your business success, a recognisable logo or iconic colour scheme can help distinguish your brand from the rest. We work with you to help make that possible, across your website, printed materials and any other digital or print medium where you want to get noticed. Our free consultation involves us learning about you and your business, and you explaining as best you can what you want your project to achieve. We can then start brainstorming ideas for you. Working from pointers on what you love and hate makes it simple to identify the route for your project. Your input throughout the whole project is vital. We work with you to make sure we create exactly what works for you and we always hope to exceed your expectations. We have an open door policy so you can make an appointment to see the progress of your project whenever suits you. Sometimes making a website live is as simple as 'flicking a switch' other times its vital to create a build up. 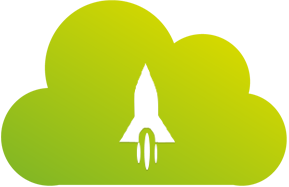 We can work with you to create a launch strategy for your new website or complete corporate identity. 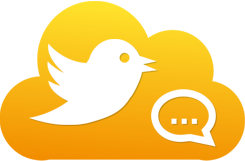 This may be by using social media to create a buzz or a countdown to launch! We were approached by the owner of a Scottish estate that offers some fine fishing, golf, cycling and much more. 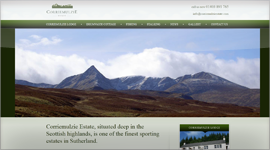 These truly beautiful highland properties needed a beautiful presence on the web and we delivered. The site features dynamic maps and the MAS blog module. When tasked with creating an app to handle hundreds of care workers, appointments and time-sheets, we built a mighty android app called Care Line Live that couples with a management interface and seamlessly integrates with StaffPlan. 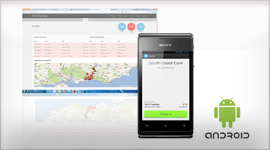 Care Line Live monitors each carers performance. 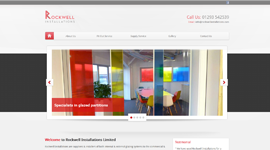 A local glass installation company contacted us requesting a re-branding and new website to showcase some of their work. We designed them a new logo to use on their sign-age, vans and shirts, and a companion website which has boosted their new business contracts. 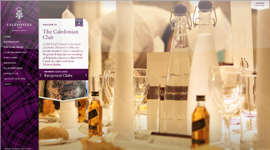 The Caledonian Club is one of London's most prestigious private member clubs, so when we were tasked with building a bespoke WordPress themed site, which could testify to the quality of the venue, we took our time to develop something which exceeds the expectations of the members. 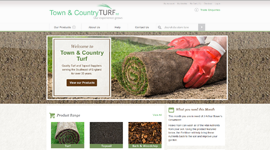 Town & Country Turf approached us when they wanted to build their business online through an E-commerce store. We built them a responsive Magento themed site which can manage their online business as a whole, this site turned over thousands of extra revenue in its first month. 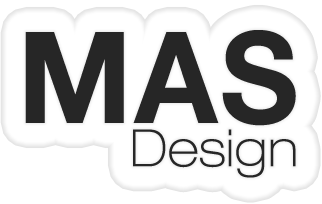 MAS Design is a growing design company made up of highly enthusiastic and talented industry professionals with a combined experience of over 20 years in design and development. All of our design team members are approachable and willing to listen to your ideas when it comes to designing your project, we can communicate with or without the jargon and never make assumptions when it comes to understanding. We often go above and beyond the call of duty to make sure our clients are happy and willing to recommend our services. Our offices are conveniently located just off the A29 near Slinfold Park Golf & Country Club, near Horsham & Billingshurst. If you're based locally in Horsham, Crawley or Midhurst, you're welcome to meet us there, and if you're not we can always come to you, work with you over the phone or via email. If there’s anything you need, don't hesitate to contact us. © 2013-2016 MAS DESIGN LTD. ALL RIGHTS RESERVED.